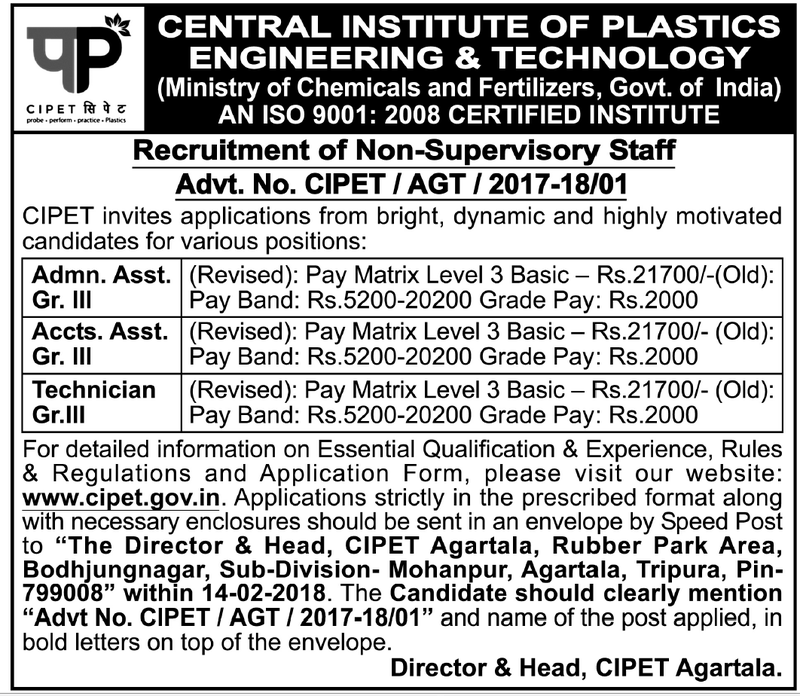 Central Institute of Plastics Engineering & Technology CIPET Recruitment 2018-19 (Ministry of Chemicals and Fertilizers, Government Jobs in India) notification for Various assistant and technician posts. All legible and interested candidates can apply on or before (14-02-2018). 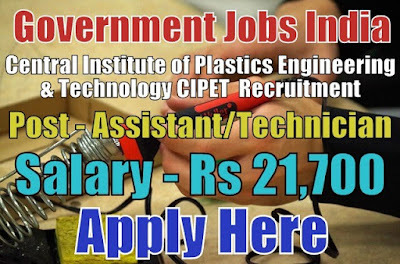 Further information about the Central Institute of Plastics Engineering & Technology recruitment courses and exams, vacancies, salary details, CIPET careers, application fee, CIPET government jobs, educational qualifications and all other details/information about this post is mentioned in details below. Name and Number of Vacancies Per Posts - The name and number of vacancies per (Non-Supervisory Staff) posts are mentioned below. Salary/Pay and Grade Pay - For assistants and technician posts, the payable salary will be Rs 21,700 per month. Further information about salary details is mentioned in the detailed advertisement. Age Limit - For CIPET recruitment, candidate age should lie between 18 - 28 years. To know more about age details, click on the detailed advertisement. Selection Method - For recruitment in the Central Institute of Plastics Engineering & Technology, the candidate will be selected on the basis of their performance in personal discussion and then personal interview. Candidates must be prepared for these tests. Work Experience - No further work experience required for technician post. Fresher candidates and candidates with no experience can also apply for this post. 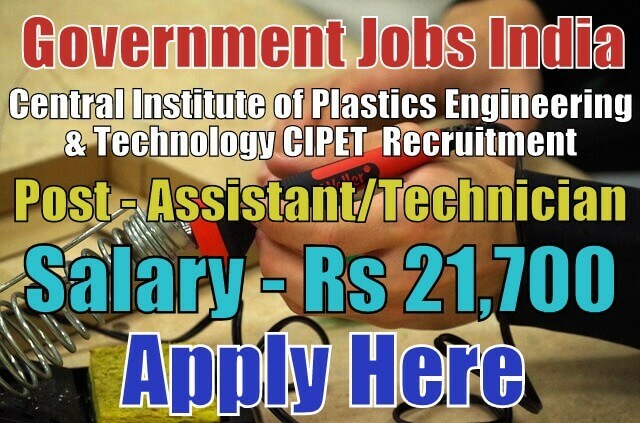 How to Apply - All legible and interested candidates have to download an application form from official website www.cipet.gov.in or from the given link below. Last Date for Submitting Application Form - All candidates must apply on or before (14-02-2018). After the last date, no application form will be submitted. Application Fee - There will be no application fee for any category candidates. Regular employees of CIPET applying for the higher position are too not required to pay any application fee.